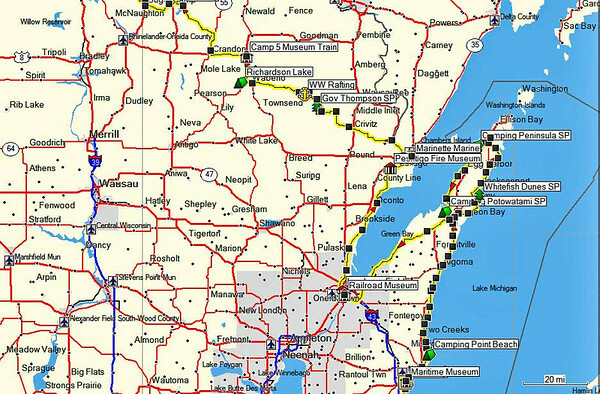 The attached GPX contains two routes and four trackline segments of less than 500 points each that will take you on a scenic and entertaining tour along the east coast of Wisconsin. 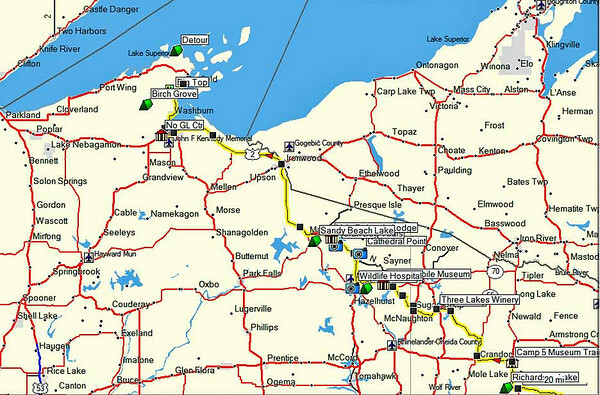 The trip is about 640 miles long and is intended for big bikes. I have waypointed attractions and camping spots. 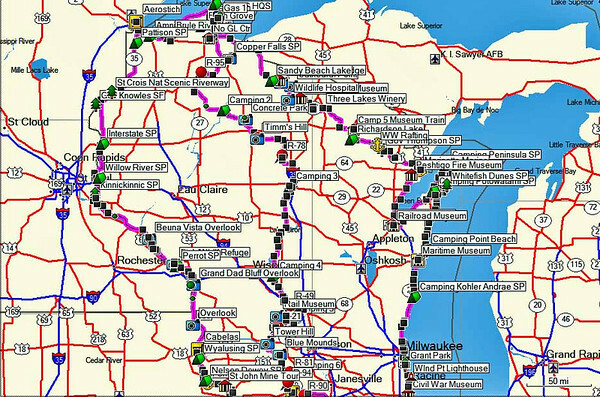 It can be ridden in conjunction with one of two other long routes in Wisconsin to make a circle loop. As mentioned, you can pick one of these others routes, also posted in GPS Central, as a return route.